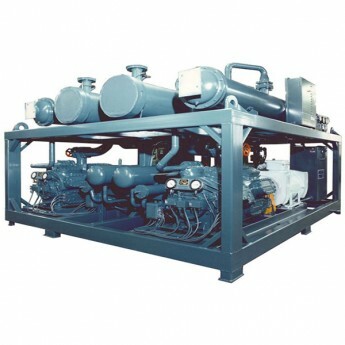 1.Use Semi enclosed piston compressor and high efficiency low noise condenser fan motor. 2.Condenser is shell and tube condenser. 3.Can be standard unit or not standard unit. 3.Suitable low temperature, middle high temperature working condition. 4.Refrigerant can be R22, R134a, R404a.